We are currently exhibiting at the beautiful National Mississippi River Museum in Dubuque, Iowa. So much could be said about this museum. Interactive, intriguing, novel exhibits that work at a lot of age levels. There is both a lot of history and river ecology information here. I’ve been here for a day, but have barely scratched the surface of the museum. 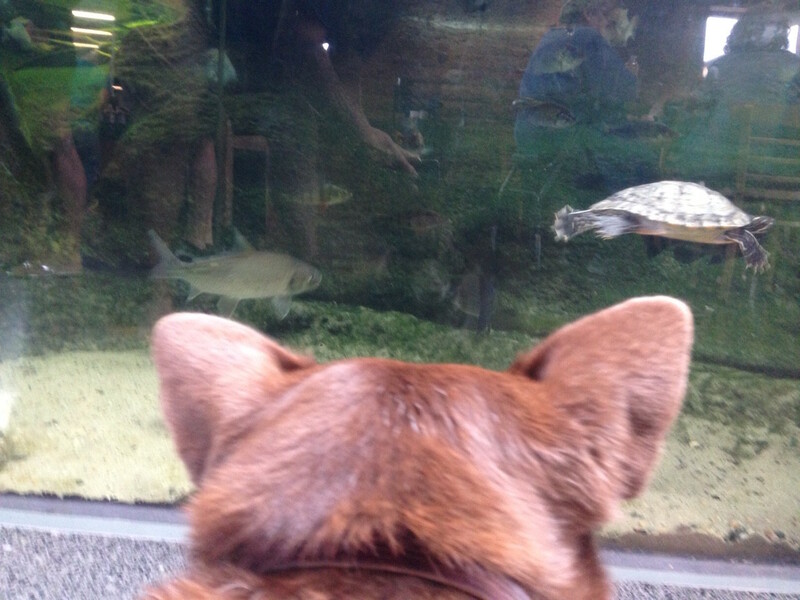 Hazel liked watching turtle and fish TV. 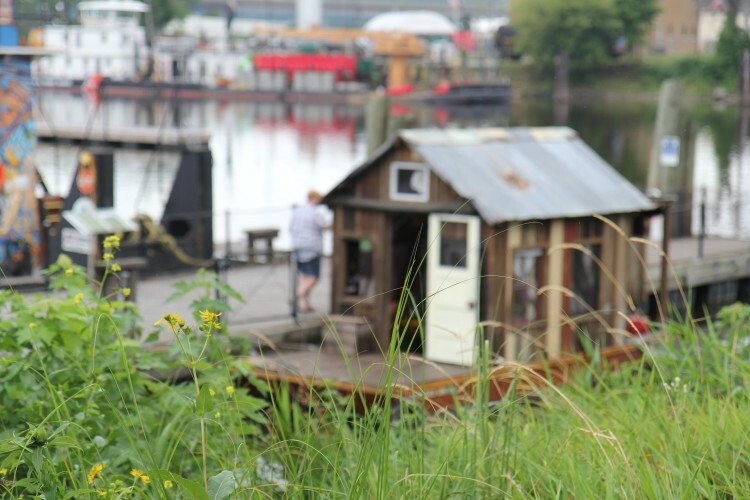 There are whole steamboats, tow boats, packet steamers, and numerous fully built-out installations to explore. The Shantyboat is down on the lower dock next to the River Clean-Up towboat and the boathouse. The museum was open today and tons of people came by and talked to me about the boat, about the journey, and about river culture. Today, my favorite enthusiastic kids were a pair of sisters from a large family who were absolutely ready to leave home and join the crew. 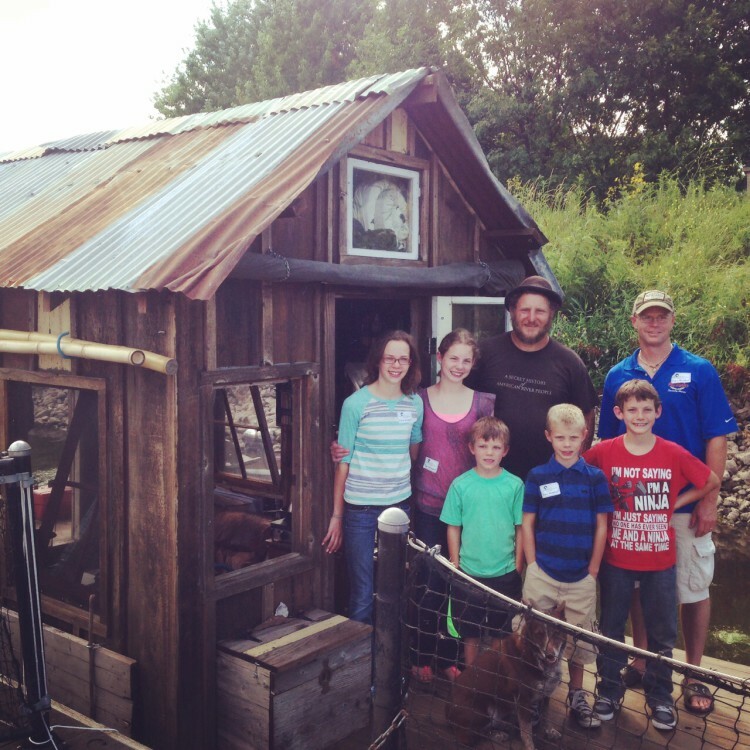 They took photos of details so they could convince their dad, Rob, to build a shantyboat. It was so rewarding to have them ask detailed questions like, “How often do you catch fish to eat? How do you divide up the cooking?” And they took photos of details like the hidden cabinets in the wainscoting and the library shelves. So here’s to Lexie and Gracie, future Shantyboat ships mates.